In defending drug charges, the lawyers at the Howard Law Group will normally try to determine whether the search and seizure which led to the discovery of any drugs was legal. If the drugs were discovered in a vehicle, the attorney will have to determine if the officer who stopped the vehicle had cause to do so. It will also have to be determined if the officer had cause to search the vehicle or if consent was given by the accused. If the drugs were discovered in a home, an attorney will have to verify that the search was based upon a valid search warrant or other probable cause. If the police violated a person’s rights, a judge may be forced to suppress any evidence of drugs. Another defense is to argue that the defendant did not have possession of the drugs. A person’s mere presence where drugs are found is not enough for a conviction. There must be some additional evidence which connects the defendant to the drugs that were discovered. Many other potential defenses are available to a person accused of a drug crime. If you have been charged or are being investigated for a Georgia drug crime, you need the Howard Law Group to defend your legal rights. Our firm has successfully represented clients charged with drug trafficking and drug possession for many years. If you have been charged with a drug crime, our firm will help you. As with any important legal question, you should always consult with a lawyer licensed to practice in your jurisdiction. Lawyers at the Howard Law Group are licensed to practice in all Georgia state and federal courts. We are aggressive litigators defending drug cases. 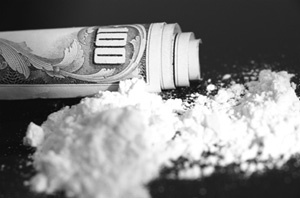 Trafficking cocaine is defined as selling, manufacturing, delivering or knowingly possessing 28 grams or more of cocaine. If the quantity is at least 28 grams but less than 200 grams, the penalty is a mandatory minimum of 10 years. For quantities of at least 200 grams but less than 400 grams, the law requires a minimum sentence of 15 years. More than 400 grams is a minimum of 25 years. For any morphine or opium (including heroin) a person commits the crime of trafficking when he or she possesses 4 grams or more. Selling, delivering or possessing 4 grams but less than 14 grams requires a minimum sentence of 5 years. Quantities between 14 grams and 28 grams require a sentence of at least 10 years. For greater than 28 grams, the law demands a sentence of at least 25 years. Trafficking in marijuana is defined as selling, manufacturing, growing, delivering or possessing more than 10 pounds of marijuana. An amount greater than 10 pounds but less than 2,000 pounds requires at least a 5 year sentence. An amount between 2,000 and 10,000 pounds requires a minimum sentence of 7 years. For 10,000 pounds or more, the minimum sentence is 15 years. For methamphetamine or amphetamine, trafficking involves the sale, delivery or possession of 28 grams or more. Amounts between 28 and 200 grams will result in a 10 year sentence. For 200 to 400 grams, there is a mandatory minimum of 15 years. Greater amounts trigger a 25 year mandatory minimum. Manufacturing this drug carries its own penalties which are virtually the same as above. The only difference is that the manufacture of any amount under 200 grams requires a minimum sentence of 10 years. Possession of smaller amounts of controlled substances may also be illegal. Any person who unlawfully possesses a Schedule I drug or a narcotic drug in Schedule II has committed a felony and shall be sentenced from 2 to 15 years. A second offense will receive a sentence between 5 and 30 years. Anyone who is convicted of possessing with the intent to distribute a Schedule I or Schedule II drug will be sentenced between 5 and 30 years. A second conviction will result in a 10 to 40 year sentence or life imprisonment. For Schedule III and IV drugs, a person who unlawfully possesses such a drug will be sentenced between one and 5 years. A subsequent offense will result in a sentence of up to 10 years. For possession with the intent to distribute, the penalty is up to 10 years. It is also a felony to possess with the intent to distribute marijuana, and generally a conviction may result in a 10 year sentence. DISCLAIMER: The information provided above is a very general summary of the law regarding this particular legal issue at the time this text was prepared. Because this analysis is subject to change depending upon recent cases and developments, you should not rely on this summary as legal advice.